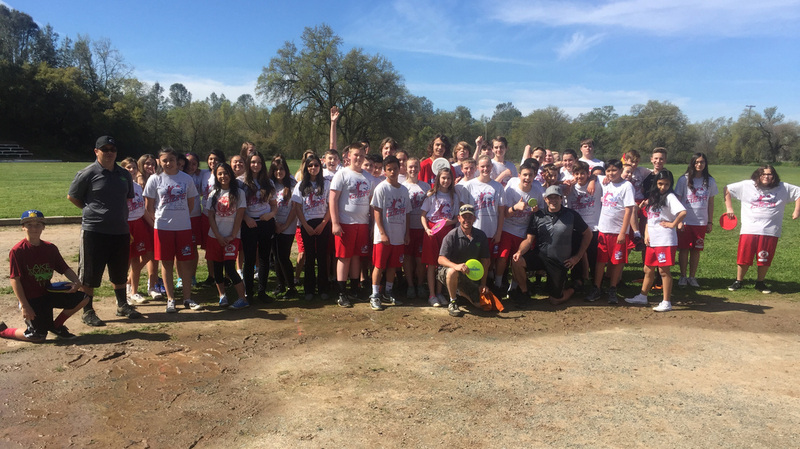 On a beautiful Wednesday in Northern California the Chain Anglers and Latitude’s own Dave Feldberg showed over 400 students at Lake Amador Junior High School disc golf and enabled them to play a round of golf. They were broke up into six sessions. 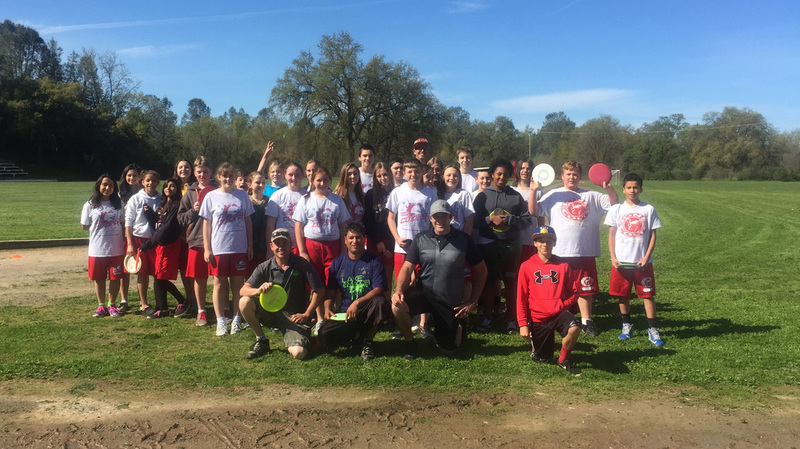 Feldberg taught the students how to grip, rip, and some overall disc golf jargon and knowledge. 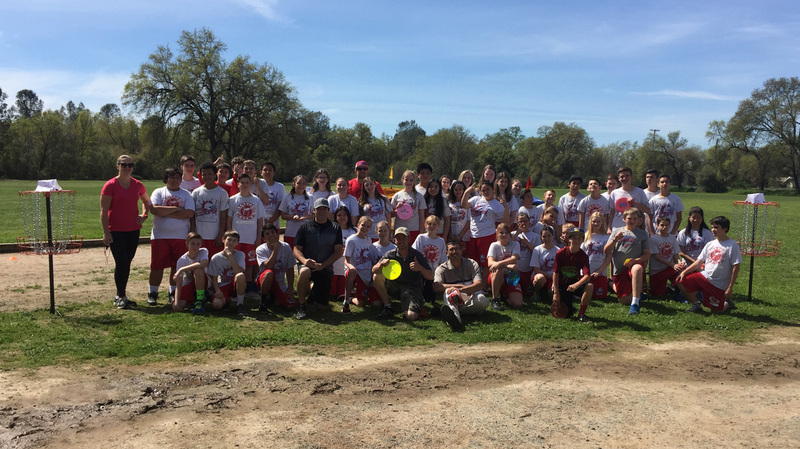 He also gave out discs and other prizes to the students. 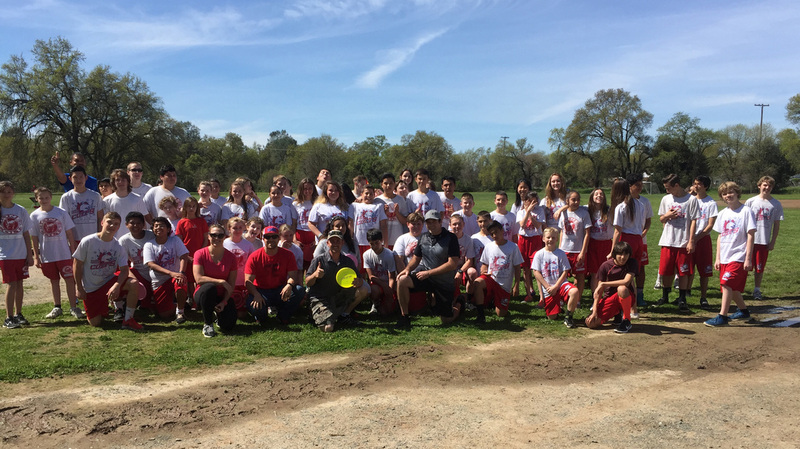 The Chain Anglers led by Lee Lockhart set up a temporary course and brought discs for the students to use for play. 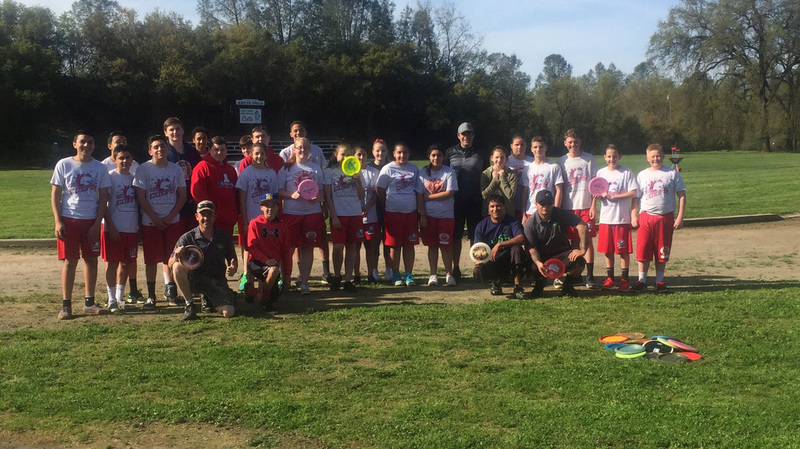 The gym teacher Justin Brazil has bought two baskets for his classes and the Chain Anglers Have donated some discs. 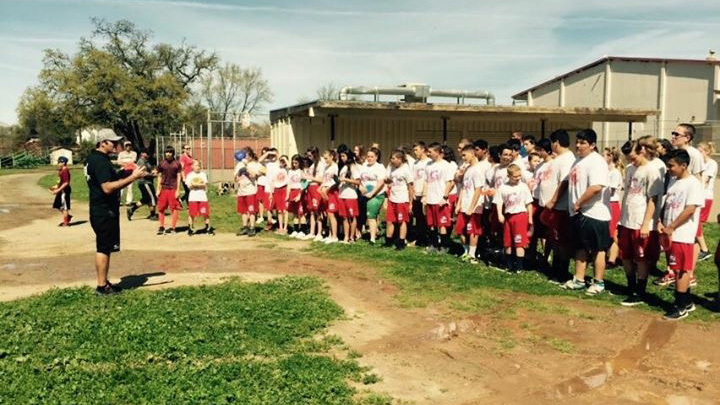 Students for years to come will be shown how to play during their gym class at junior high. 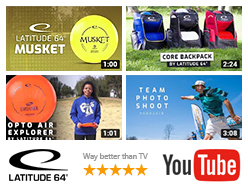 One of the bonuses for these students is there is a permanent course walking distance from their school campus so hopefully with their effort some of those kids will become lifetime players! 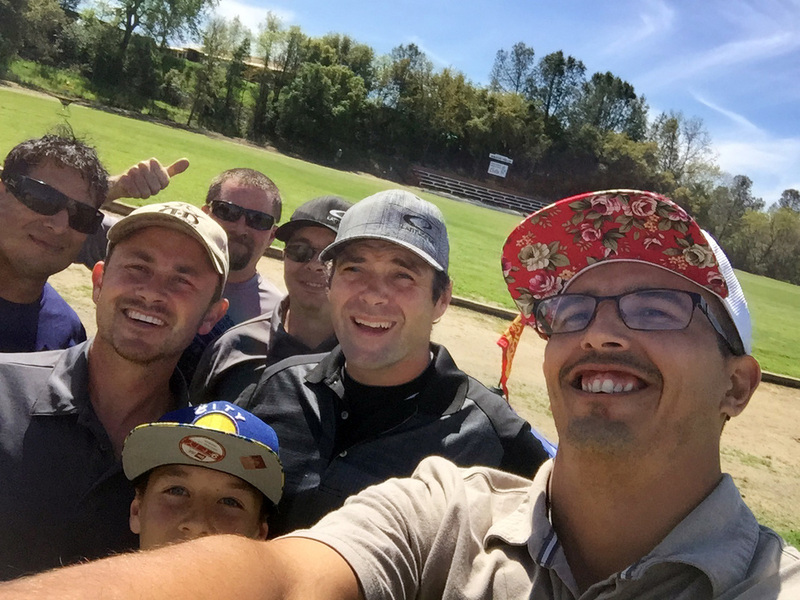 David Feldberg with the volunteer crew from Amador Chain Anglers Disc Golf. From left to right: Mike Garcia, Dave Feldberg, Doug Kesterson, Lee Lockhart, Manuel Garcia, Justin Kesterson and Cameron Tew.